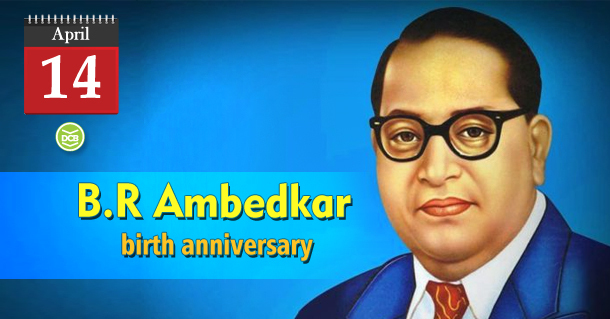 Bhimarao Ramji Ambedkar was born on April 14, 1891, in Maharashtra. He was the chairman of the Constitution’s drafting committee, played a crucial role in ensuring that India got universal adult franchise after Independence. Humiliated in schools as a kid belonging to the lower caste did not deter him in his academic pursuits. Graduated from Bombay University he took up a job with the government of the princely state of Baroda. It was during this time that he was awarded a scholarship by the Gaekwar(ruler) of Baroda he studied at universities in the United States, Britain, and Germany. After research in Ancient Indian Commerce and Castes in India: Their Mechanism, Genesis and Development he enrolled for his doctoral research at the London School of Economics. After his return in 1917, he became interested in politics and established a leadership amongst the Dalits. He wrote journals on their behalf and succeeded in getting them reservations and electoral representations. After independence, he became the law minister of the government of India. He took a leading part in the framing of the Indian constitution, outlawing discrimination against untouchables. He resigned in 1951, disappointed at his lack of influence in the government. In 1956 he became a Buddhist. He died on died December 6, 1956. He wrote the book The Buddha and His Dhamma appeared posthumously in 1957.